Common reasons for tooth removal include the eruption of a wisdom tooth or a tooth that is too badly damaged to be repaired. Tooth extraction is performed under local anesthesia and most pain disappears within a week. 9. What is a wisdom tooth? Wisdom teeth are the most frequently removed teeth. Common problems with wisdom teeth include pericoronitis, caries and inflammation of the dental pulp. Pericoronitis is an inflammation of the tissue that surrounds a partially erupted wisdom tooth. It is a common problem that usually affects young adults. Pericoronitis is the most common wisdom tooth problem among young people. It develops when microbes get trapped in the space between a partially erupted wisdom tooth (right edge of the picture) and gum. Typical symptoms of acute pericoronitis are swollen gum tissue around the wisdom tooth, pain and a bad taste in the mouth. More serious symptoms that require immediate treatment include fever, wisdom tooth-related abscess and difficulty opening the mouth because of swelling. Pericoronitis usually develops when wisdom teeth start to erupt. It is rare in people over 30 years of age. Pulpitis can cause throbbing pain in the tooth. It can reach the tooth pulp and lead to tooth root infection, also known as apical periodontitis, if left untreated. Tooth root infection is a common reason for tooth extraction. Large cavities can cause microbes to penetrate the tooth pulp (middle) and reach the tooth root (right). Tooth root infection can only be treated by removing the tooth if root canal treatment doesn’t fix the problem. Periodontitis damages the tissue and bone that support a tooth and can cause the tooth to become loose. Removing and, if necessary, replacing the tooth with prosthesis can be the only reasonable treatment option. Advanced periodontitis damages the tissue and bone that supports the tooth. A loose and damaged tooth may need to be extracted. Severe tooth and jaw traumas, root fractures and cracks are other reasons a tooth may be removed. If a tooth is in a poor condition or increases the risk of infection, it may need to be removed proactively, particularly before starting a strong medication or undergoing a surgery. Some medications for conditions such as cancer and rheumatoid arthritis weaken the body’s defense system, and even minor tooth infections can then quickly spread and cause severe health problems. For challenging surgical treatments to succeed and for the patient to recover, the blood must be free of bacteria. Bacteria is found in damaged teeth, so the patient’s mouth and teeth should be checked and any damaged teeth extracted before starting a strong medication or undergoing a challenging surgery. For those in certain professions (such as divers, pilots, and soldiers) the risk of teeth infections is minimized by removing possibly problematic teeth proactively. Less common reasons for tooth extraction include other dental treatments that require removing the tooth (orthodontic and prosthetic treatments) as well as the treatment of cysts or tumors in the jaw area. If a tooth’s pulp or root is infected, the dentist may perform tooth extraction or root canal treatment. The patient can also refuse treatment or postpone it and leave the infection untreated. Treating infected teeth with root canal treatment is not always possible—for example, in cases of root fraction or advanced infection. Moreover, root canal treatment is not recommended when a tooth is so severely damaged that it cannot be patched. Teeth extraction can then be the best treatment option. 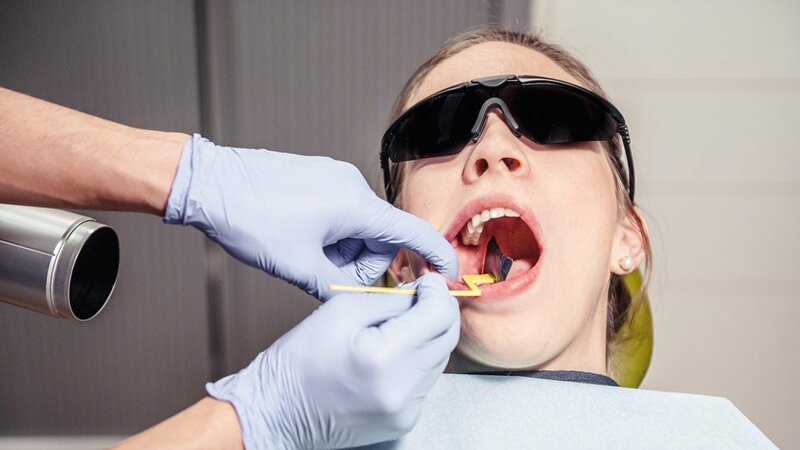 Root canal treatment is a better treatment option than tooth extraction when the prognosis is good and the damaged part of the tooth can be fixed, for example, using a ceramic filling or crown. The treatment for wisdom tooth symptoms depends on the cause. Proper oral hygiene is the key to preventing symptoms. Wisdom teeth can be difficult to clean because of their location in the mouth; as a result, they decay easily. Partially erupted wisdom teeth are particularly difficult to keep clean because they are still partly under the gum. Partially erupted wisdom teeth have to be cleaned properly, morning and night, using a soft electric or manual toothbrush. If brushing your wisdom teeth with a regular toothbrush is difficult, try a small solo brush or children’s brush. Using mouthwash that contains fluoride can also be helpful, particularly when cleaning your wisdom teeth is otherwise difficult. Acute toothache caused by pericoronitis (inflammation of the tissue around the tooth) can be treated with normal painkillers and mouthwash containing chlorhexidine. Your dentist may clean the wisdom tooth and prescribe antibiotics. Urgency: If symptoms continue, see your dentist. Urgency: See you your dentist immediately. Periodontitis and other mouth and dental diseases can cause wisdom teeth pain and problems. See your dentist immediately if the symptoms continue, even if they are mild. The cost of a tooth extraction is determined by how challenging it is. Upper wisdom teeth are usually easier to remove than lower wisdom teeth. General dentists and dental specialists perform tooth extractions. Dentists estimate the need and scope of the treatment before the tooth is extracted. Before the tooth is removed, it is examined together with the mouth. The examination helps in planning the procedure and includes examining the tissue around the tooth, such as the gums and oral mucosa. In addition, the tongue and the floor of the mouth may be examined. 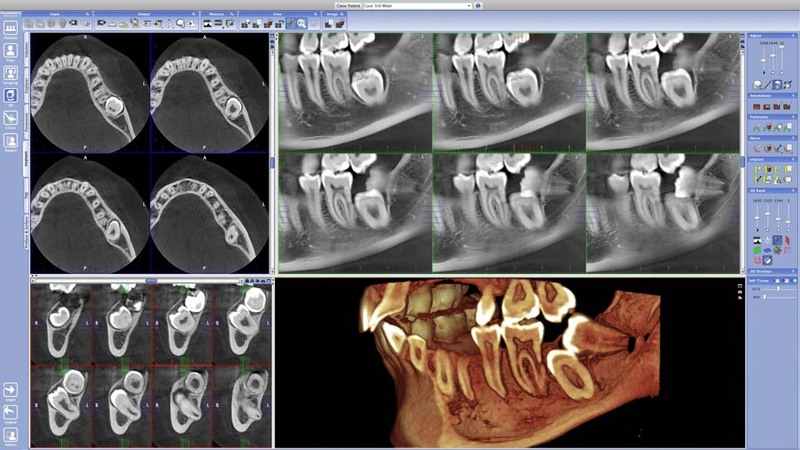 Dental X-rays show the positions of the tooth and the roots as well as their relationship to surrounding tissues (e.g., the neighboring teeth, nerves, and maxillary sinus). How the mouth opens and the sensitivity of pharyngeal reflex, or gag reflex, are also considered. Depending on the case, wisdom tooth extraction can be simple and quick or quite difficult. Extracting partially erupted lower wisdom teeth is more complex than extracting fully erupted teeth, and it thus may require surgical extraction. Dental X-rays are taken before tooth extraction to detect inflammation, for example, around tooth roots. Local anesthetic is injected. In special cases, relaxing medication, laughing gas, sedation or general anesthesia can be offered for patients with dental phobia. Gum that is attached to the tooth is removed. The tooth is moved in order to break the fibers between the tooth and the jawbone. When these fibers break and the tooth moves, it can be removed using, for example, forceps. After the procedure, the extraction socket is cleaned, sharp bone edges are smoothed and, if necessary, stitches are placed in the extraction site. Teeth with multiple roots are removed in parts to avoid breaking the roots while they are still inside the bone and to ensure that all parts of the tooth can be removed without breaking them. Teeth with multiple roots that have had root canal treatment usually have to be split into small pieces before they can be removed. The number, length and shape of the roots determine how difficult a tooth is to remove. Surgical extraction may be needed if the tooth is partly or completely inside the jawbone or if it is difficult to remove for some other reason. Surgical extraction is often performed when the tooth has not yet erupted or has erupted only partially. In surgical tooth extraction, incisions are made in the mucosa on or next to the tooth to expose the bone. The bone around the tooth is then removed by drilling it in order to expose the tooth. If necessary, the tooth is then cut into pieces, and these small pieces are removed. Your dentist places gauze over the wound, which you should bite down on for around 30-60 minutes. The gauze puts pressure on the wound area and helps reduce bleeding. A blood clot, which protects the wound, forms in the extraction socket. The dentist who performed the procedure will give you instructions to follow after the extraction. The extraction site heals relatively quickly, particularly in young adults. Avoid eating, drinking and smoking for at least two hours after extraction. Eat and drink cold or cooled-down food and drinks that do not require chewing such as yogurt, thin soup, popsicles and ice cream. Avoid strenuous physical activity at least for a couple of days. Brush your teeth carefully. Avoid brushing the extraction site for at least a few days. Take painkillers if needed. Painkillers containing acetylsalicylic acid (ASA), such as aspirin, are not recommended, as they can cause prolonged bleeding. Use ice packs to reduce swelling and pain if needed. The extraction socket may bleed for a few days. See your dentist if bleeding is heavy and doesn’t stop. Most healthy people don’t need antibiotics after a regular tooth extraction. 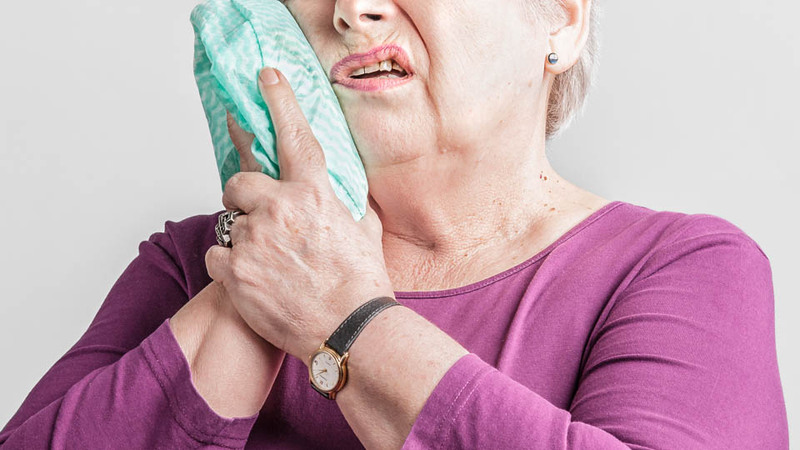 You can use ice packs to reduce swelling after tooth extraction. Hold the ice pack against your cheek near the extraction site for three hours, 20 minutes at a time. After tooth extraction, you will feel pain for two days to one week. The pain is at its worst during the first one to two days after the extraction. After more challenging tooth extractions, such as those for lower wisdom teeth, the pain may continue for several weeks. 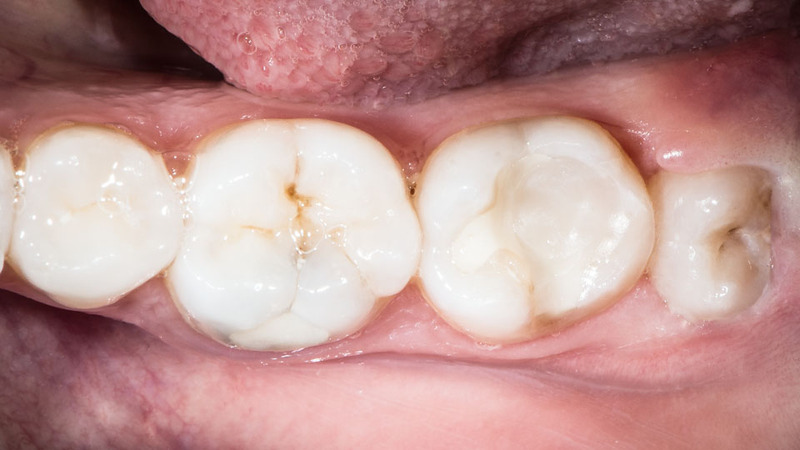 It takes around 6 months before the extraction site has properly healed and ossified. If you have a fever or difficulty swallowing, contact your dentist or dental emergency service immediately. Pain in the extraction site is common and lasts between a few days and a few weeks. Most pain disappears 2-3 days after the procedure. Less than 10% of patients experience uncommon post-extraction symptoms, such as prolonged bleeding or an abnormal sense of touch. Other uncommon symptoms include prolonged bleeding (for over 24 hours), fever, difficulty breathing or swallowing, and severe pain in the jaw joints. Contact your dentist or dental emergency service immediately if you experience these symptoms. Alveolitis, or inflammation of the extraction socket, is the most common post-extraction problem. It develops in 0.5–5% of regular extraction cases. After a difficult surgical extraction of lower wisdom tooth, it can develop in 40% of cases. 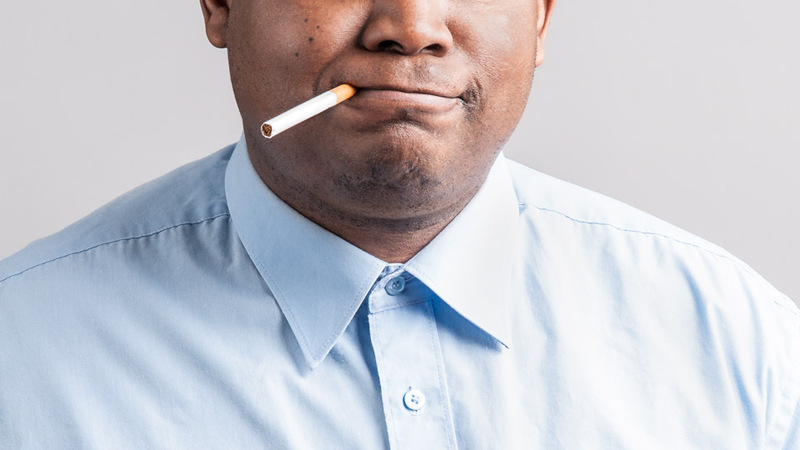 Smoking and poor oral hygiene increase the risk of alveolitis. Smoking increases the risk of alveolitis. Local anesthetic is used to numb the lower teeth. It is injected in the corner of the lower jaw using a needle. The risk of nerve damage is very low and occurs in about 0.0001–0.004% of the cases. Injury from anesthesia occurs in either the lingual nerve (70%) or the mandibular nerve (30%). Permanent lingual nerve damage after tooth extraction occurs in 0.1–0.6% of cases. Wisdom teeth, or third molars, are the last permanent teeth to erupt; they usually erupt between the ages of 17 and 20. Around 90% of 20-year-olds have at least one wisdom tooth that hasn’t yet erupted or that has erupted only partially. Wisdom teeth can continue to erupt until the age of 30. 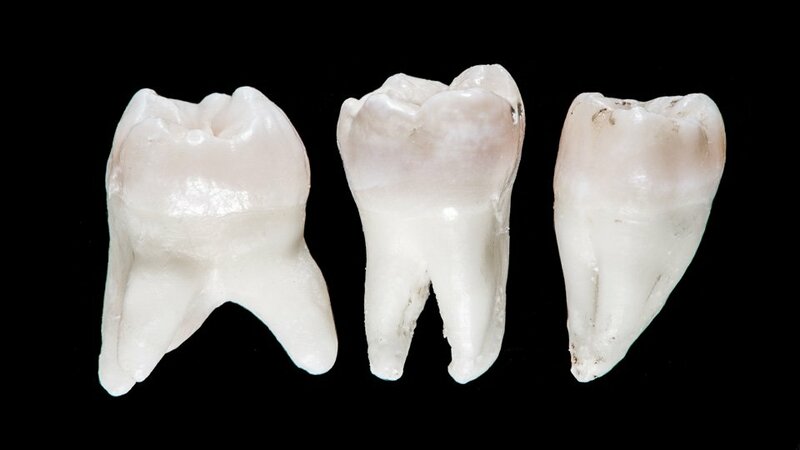 About 2% of people are born without any of the four wisdom teeth. Wisdom tooth pain is the most common reason young adults seek emergency dental care. The dentist examines the tooth, the gums around it and the neighboring teeth. The dentist may also examine other wisdom teeth and the lymph nodes in the neck, looking for occlusion and swelling inside and outside the mouth. X-rays are often used to examine wisdom teeth and to detect infections in the teeth, roots and surrounding tissues. X-rays also show the shape and position of the roots in the jawbone. X-rays can be used to find infections and to determine the position of the wisdom tooth.